plant based detroit. : Wedding Dress Shopping in Chicago. Having been a bridesmaid 5X over these past two years, I'd like to think I know a little bit about the wedding game. 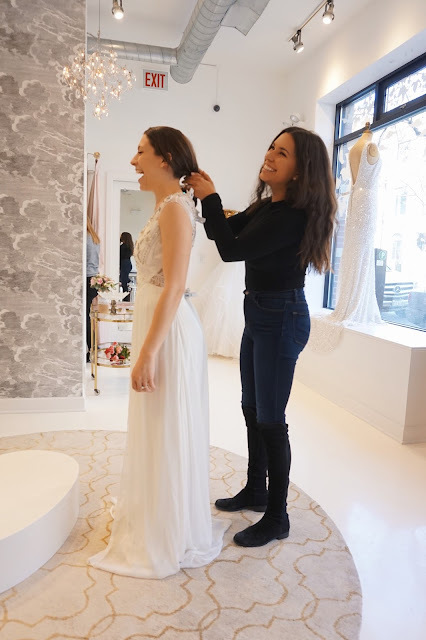 Probably one of the most (if not THE most) important thing to a bride on her big day, aside from you know, the groom, is finding her perfect dress. 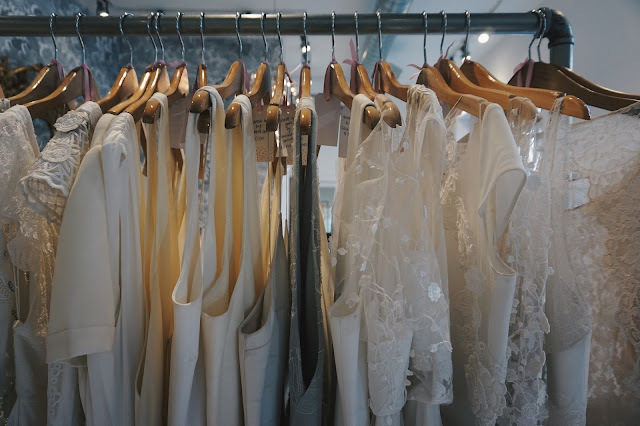 I've been to my fair share of bridal shops, from Michigan, to Florida, to California - I've seen the good, the bad, and the ugly. 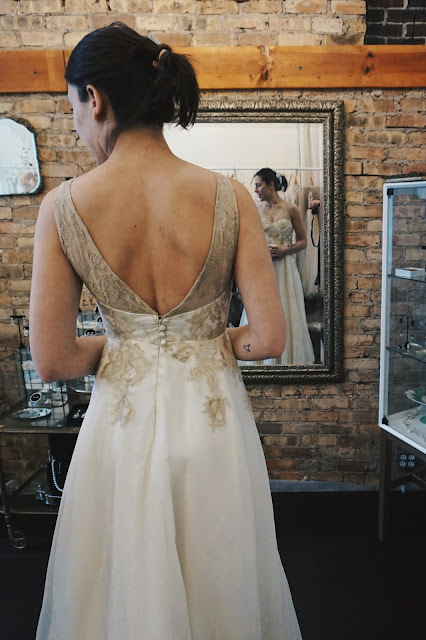 I recently made a weekend trip to Chicago for dress shopping for my dear friend (bride #5). 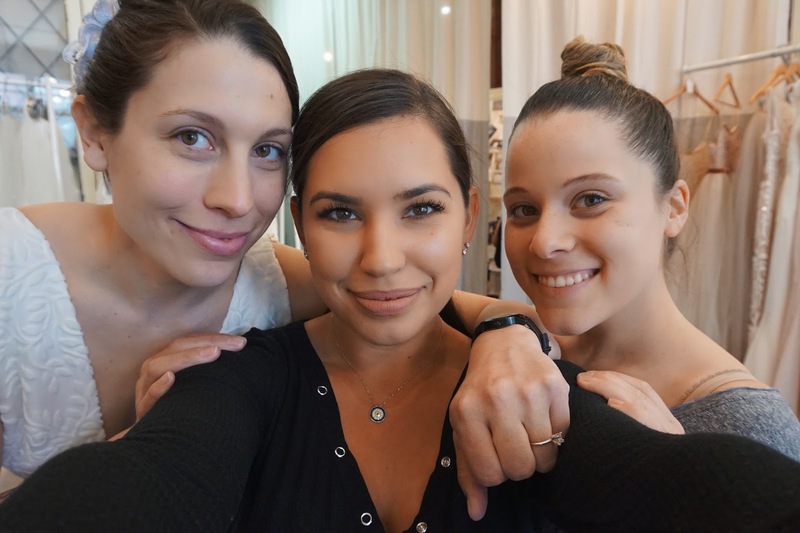 We visited two very unique and beautiful bridal boutiques, so I wanted to share my experience as well as some recommendations and tips for brides to be, and their support crew! 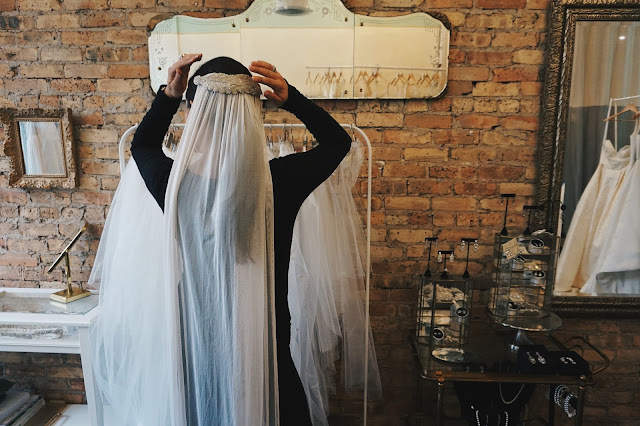 Our first appointment was at Mignonette Bridal, a sweet little spot in Chicago's Lakeview neighborhood. We were greeted by Kpoene, who owns the shop as well as designs the majority of the dresses! Embarrassingly, we had no idea Kpoene hand made all these dresses until we were about 30 minutes into the appointment. Needless to say, all the dresses are incredibly unique and not something you're likely to see another bride in on your Facebook feed. Love that. The shop itself is very warm, and feels sort of like you're hanging at your chic grandma's house (in a good way!). Exposed brick and vintage furniture, combined with lots of lace, it's a pretty charming spot. rows of lovely veils at Mignonette. The matter of budget was addressed up front, and Kpoene pulled dresses that suited our bride's taste and price point - eliminating the very real (and devastating) possibility of falling in love a dress that you can't afford. I thought that was a nice touch, and made the whole event feel a lot less sales driven. Kpoene herself is equally as charming as her shop. A great piece of advice she gave the bride, who was deliberating between two dresses, "you want to wear the dress, not the dress to wear you". So true! 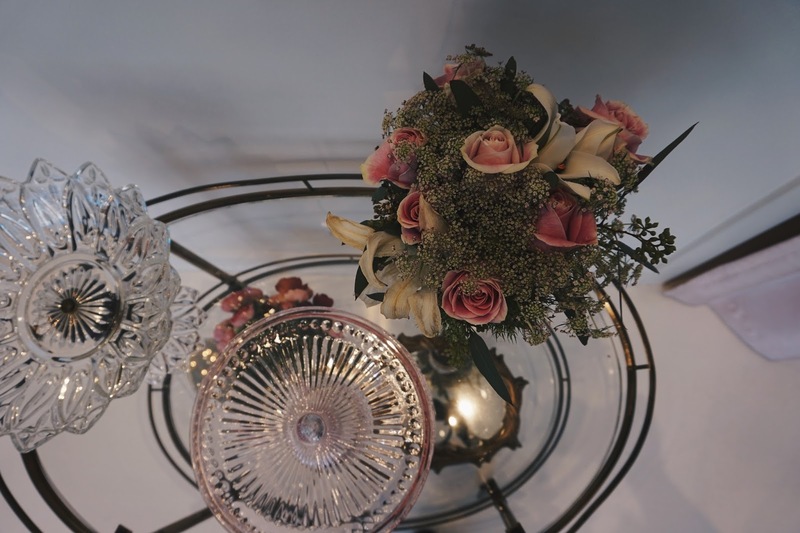 An intricate and elaborate dress can be stunning, but do you want your guests and groom to be focusing on your dress or your face? Another important thing to remember when dress shopping, dance! Unless you plan on remaining seated your whole wedding (boring), make sure you can move in your dress. If you want to get down on the dance floor until the sun comes up (without splitting at the seams), a trumpet or mermaid may not be the cut for you. I cannot deny my love of veils. The bride, non-traditional bridesmaid and maid of honor. 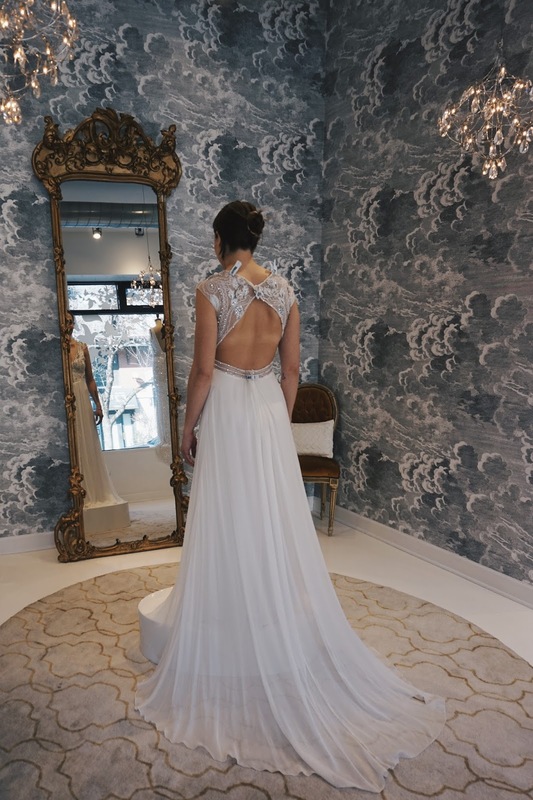 Our second stop of the weekend was Alice in Ivory, a gleaming white gem in Lincoln Park. Admittedly, I had been following their Instagram for a while, so I was pretty excited to see all their gorgeous dresses in person. 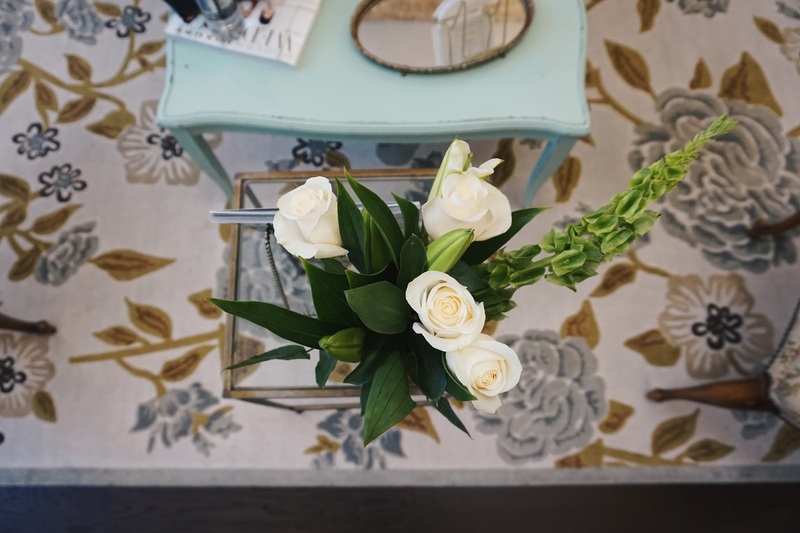 Alice in Ivory is a totally different vibe than Mignonette, all white everything, a little bit of a modern edge - totally my style (Kellie, this isn't about you). They carry about 15 different designers that all fit their "Modern Romantic" aesthetic, my personal favorite being Temperley London. Alice Temperley, you are my soul sister! Cara assisted us during our appointment, and she was just lovely. Not as personal of an experience as we had with Mignonette (I mean, it's her art! ), but super sweet no less. In terms of budget, we did discuss price point, however the bride was left to pick her own dresses. Which, while they were all labeled with prices, did leave leave a lot of room for temptation and potential disappointment. A tip I gleaned from our time at Alice in Ivory is for the BST (bridal support team), in our case it was MOTB, MOH and me, "non-traditional bridesmaid'. You have to be honest!!! 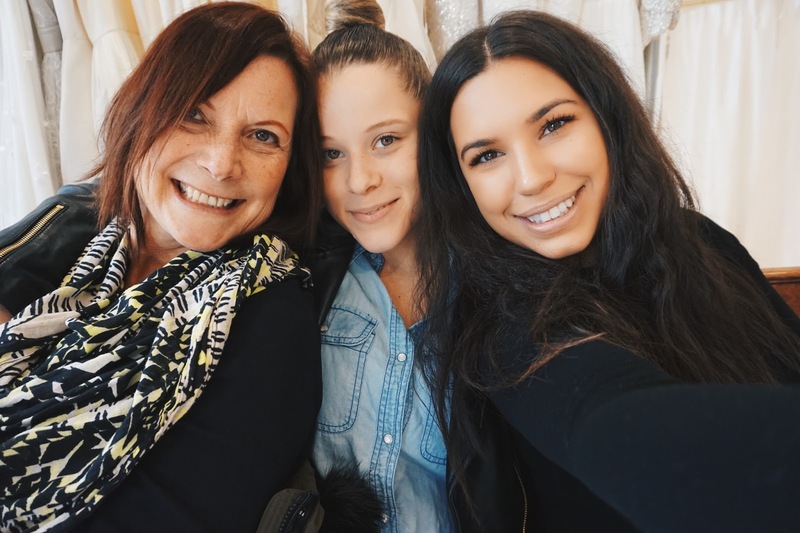 Because AiI has SO many gorgeous dresses, our beautiful bride got a bit...distracted. At one point she came out wearing a dress that would have been better suited for Little Miss Muffed and exclaimed (for the 5th time that day) that this could be the one! Luckily I have a great relationship with the bride and her whole family, so I felt I could be blunt, but I had to tell her no, no, NO! With so many options, it's easy to get overwhelmed, but that's why you need your BST to keep you on track. It may be tough to assert yourself, because you never want to discourage a bride who thinks she's found 'the one', but if you know it is inherently wrong, please, for the love of god, speak up! She'll thank you later. The Bridal Support Team (MOTB, MOH, NTBM). So tell me, do you have any words of wisdom? Maybe we can hear from some brides here - lessons learned on the big day? Favorite bridal shops? 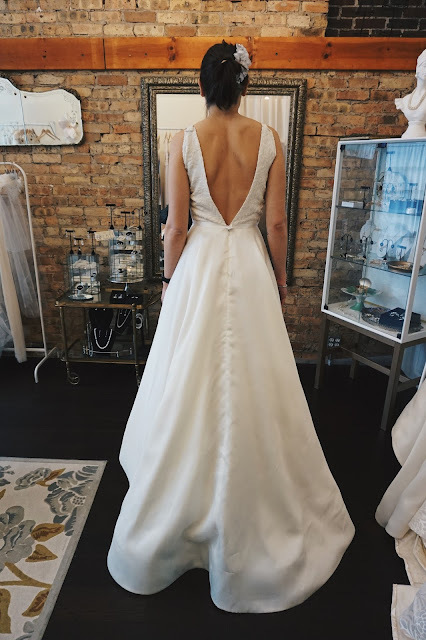 Tricks for getting your dress at a better price. I'm all ears here!